We will propose you several activities to do this very especial Day in the US. ** Here you are some links and quizzes to know more about this topic. and think about a touristic route that you could plan for your clients remembering the most relevant events and places dealing with this festivity. Try to focus on sustainable tourism (or cultural tourism if you are studying unit 6). Many of our students travel really often and tell us about their impressions and discoveries while they are away. Would you like to write about that very special corner, place, hotel, city, shop, ... you found out last summer, two years ago or last week???? Come on, use your keyboard right now!!! I'll try and write about the first one. I'll show you a wonderful place I "discovered" a couple of summers ago that takes you for a while into the Arab world : extremely delicious teas, wonderful sweet treats and home made tasty confectionery and baking!! You can even smoke one of those exotic pipes. The tea list is written (drawn) on a wonderful paper, the decoration is superb, the place is incredible and the owners the best hosts. The customer is their most valuable jewel. You will learn what excellence in service and professional dedication mean. There is also a small cozy hotel of 7 exclusive rooms you have to see. They offer whirlpool tub, wifi, satellite tv, welcome tea, wonderful breakfast, welcome fruit basket, etc. Really value for money. Today's entry is long to read but interesting, I think. Some students ask me almost every year about the meaning of the poppy on the lapel of the newsreaders when they watch the UK news on that day. 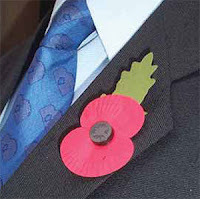 Did you know about Poppy Day? What do you think of this special date? "Many countries have a special day to remember those that fell in their wars; America has Veterans Day, while France has Armistice Day. The British commemorate those who fought, and are still fighting, in wars for their country on Remembrance Day. The tragic events in New York on 11 September 2001, left ever increasing numbers of people feeling stronger than ever the need for peace. 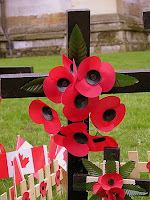 This, in turn, prompted the manufacture of white poppies to represent peace. They are not a new idea, though. In fact, they date from 1933, having been designed by a UK Women's Guild. 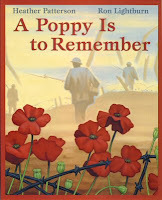 The British Legion was invited to produce them twice, in 1933 and 1988, but they not only declined, they also refused to accept the proceeds from them, because they were seen as disrespectful by some soldiers. They are having a surge in popularity once again as people stop feeling as safe as they once did." In London and in the UK in general, we have a passion for fireworks (pyrotechnics) at this time of year. Halloween isn't really our thing, although more and more children's costumes are going on sale these days. We look forward to November 5th when we commemorate Guy Fawkes's attempt to blow up the Houses of Parliament with barrels of gunpowder in 1605, with King James I inside. He was caught before he could do any damage and was duly executed shortly after." Have you ever enjoyed bonfire night in the UK? Any similar celebration in your place? This is a good choice to write-write-write. Come on.